Organized by the Faculty of Sport and the National Sports Academy ‘Vasil Levski’ from Sofia, the international conference Safety Management of Sports Competitions that has gathered prominent experts from this field has been held today. -We have been honoured and privileged to host respected guests. 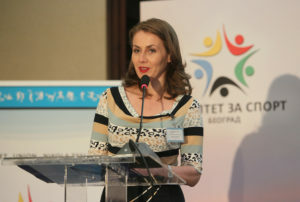 For the first time in Serbia new the Council of Europe Convention on Fight against Violence in Sport has been presented and the last Convention of that kind was adopted in 1985. 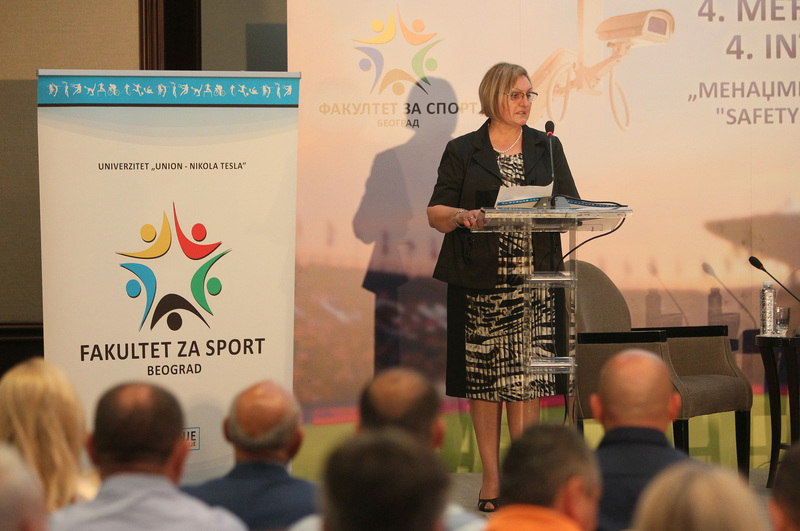 Violence and safety of sporting events has no longer referred to spectators only and it is a much broader aspect of the problem involving terrorism among other aspects – stressed the Dean, Prof. Dr Ivanka Gajić. Among speakers there were Nenad Lalović, famous sportsman, President of the United World Wrestling and member of the International Olympic Committee, Paulo Gomes, member of the Council Of Europe Human Rights and Equality Directorate, Steve Frosdick, an independent expert and UEFA representative, and Dragan Mijatović, Deputy Chief of the Observation and Violence Prevention at Sports Events Department of the Police Directorate of the Ministry of Interior Affairs. It has been the fourth scientific conference organized by the Faculty of Sport involving this subject and its significance has been stressed by the presence of Dane Korica, Counselor of Aleksandar Šoštar, President of the Sports Union of Serbia, Brankica Janković, Commissioner for the Protection of Equality, Slobodan Branković, President of the Athletics Federation of Serbia, Željko Tanasković, President of the School Sports Union and other numerous representatives of branching sports unions. 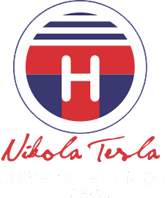 -It has been the tradition of the Faculty of Sport of the ‘Union – Nikola Tesla’ University to organize meetings of this type. Besides the fact that these are the scientific meetings, we wish to become familiar with something a bit different, such as the experiences of those that conduct certain conventions. The idea is to raise awareness of the importance of fight against violence of any kind and that scientific workers become interested in dealing with it more comprehensively. That is our obligation and our mission to make sport a pleasant game, and not the venue of problems and discomforts – Ivanka Gajić said. Nenad Lalović, President of the United World Wrestling, emphasized the importance of protecting sport from all possible kinds of violence. -With a hundred per cent certainty we send sportsmen to the events and for the purpose of making these venues secure we have to conduct many preliminary activities. Luckily, all terrorist acts happening worldwide, haven’t occurred at sports competitions, but that doesn’t imply that no one will try such a thing. We have just discussed it and have searched for the ways to prevent that kind of problem. I express my gratitude to the Faculty of Sport of the ‘Union – Nikola Tesla’ University for inviting me to participate in and for paying attention to this significant segment of sport – Lalović said. At this scientific meeting attendees had an opportunity to become acquainted with the new Convention on Safety, Security and Sports Competitions Organization which implementation and promotion is in charge of Paulo Gomes, member of the Council of Europe Human Rights and Equality Directorate. -New Convention was adopted in July 2016. So far it has been accepted and signed by 26 European countries. The Convention includes an integrated strategy that implies that private, public, national and local factors are responsible for the issue of safety. This Convention differs from 1995 Convention since it is obligatory, while the old one is advisory. Thus, the countries that ratify it have to apply its regulations – Paulo Gomes said. Upon the completion of the plenary session, the scientific conference has continued at the Faculty of Sport facilities, where the received scientific papers have been presented. More photos from the event you can find HERE.